Zach is a Partner in the firm's Financial Services Litigation Group with a focus on consumer finance litigation defending financial institutions such as banks, mortgage lenders, credit card companies and debt buyers/collectors on a number of issues. Zach defends financial institutions such as banks, mortgage lenders, credit card companies, auto finance companies and debt buyers/collectors in consumer lawsuits filed under various state and federal laws, including the Truth-in-Lending Act, the Fair Credit Reporting Act, the Fair Debt Collection Practices Act, the Telephone Consumer Protection Act, and the Equal Credit Opportunity Act. While specializing in consumer finance litigation, Zach also handles numerous general commercial litigation matters. 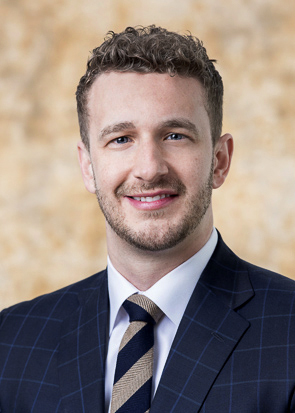 Zach serves as a Young Lawyer Liaison for the Debt Collection and the Bankruptcy Subcommittee of the American Bar Association’s Consumer Financial Services Committee and he is also a graduate of the TIPS/ABOTA National Trial Academy. Zach serves as a member of Burr & Forman’s Recruiting Committee and is a contributing author to the firm’s Consumer Finance Litigation Blog. While in law school, Zach was named to the Order of the Barristers, was an advocate in the International Philip C. Jessup Moot Court Competition and participated in two summer programs focusing on International Law and the European Union (Dubrovnik, Croatia and Strasbourg, France). In addition, he served as Editor-in-Chief of the Indiana International & Comparative Law Review.